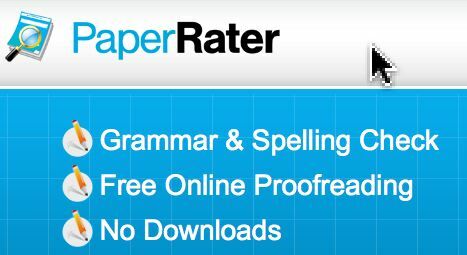 Paper Rater is a powerful and free online proofreading tool available on the web to solve all your grammar problems. Paper Rater is entirely free of charge. It’s built and maintained by linguistic professionals and graduate students and according to their About page, it’s used by schools and universities in over 46 countries that can help students to enhance their writing. PaperRater.com combines the power of natural language processing (NLP), artificial intelligence (AI), machine learning, information retrieval (IR), computational linguistics, data mining, and advanced pattern matching (APM). We offer the most powerful writing tool available on the internet today. Content is King. If you are a blogger and you’ve been in the blogging world for enough time I’ll bet that you’ve discovered that saying. Every professional blogger will agree and they will stand by the words. But what makes the content is a king? There are lots of things to take care of when creating a content that is suitable to become labeled as a king and one of these is the content has to be free of spelling mistakes. Spelling mistakes all over your content makes you look like unprofessional. And the next aspect that you should consider is grammar. Having grammar mistakes inside your article could sometime bring another meaning to what you are attempting to say. Paper Rater ProodReading tool help you to check your article for both spelling mistakes and grammar. Also it improves your article by giving some great suggestions. You can also check Proofreading Services online that brings results. To utilize these tools, click “Use Now Free” and you will get redirected to the new page. On that page, you’ll be able to paste your article and title, your writing, the works you cited, then just select your education level, the type of paper you’re submitting and you can choose the “originality detection” which is optional and slower but make sure you select “include” it because it offers some interesting insights. Then, click on get report to get your proofreading article. It is a great ProofReading Tool and I also uses it regularly to help me spot errors which i glanced in Word. It helps make the writer’s life a tad easier, that’s for sure!